The concept of capital gains or losses can be complicated enough when you're dealing with a single, concrete asset. It gets even more complicated when you sell from a mutual fund that you've invested in over an extended period of time. You'll have a different cost basis for your initial investment, for additional investments, and for any purchases made through reinvested dividends. Each investment has its own cost basis and its own holding period. But don't let some complex tax rules scare you off from investing. Some basic rules can help to make sense of the process. Mutual funds often sell profitable investments at certain times throughout the year. The funds then distribute the profits to shareholders in the form of a capital gain distribution. Capital gains distributions are reported on Form 1099-DIV, which shows dividends and capital gains distributions paid throughout the year. Capital gains distributions are taxed at long-term capital gains tax rates no matter how long you personally own the shares in the mutual fund. Normally, long-term rates are reserved for assets you've owned for longer than a year. Long-term rates are more favorable than short-term rates, so this rule is a good thing. Capital gain distributions can be reported directly on Form 1040 if you have no other capital gains to report. Otherwise, capital gain distributions are reported on Schedule D along with your other gains and losses. You would calculate your capital gain or loss for each mutual fund share you sell when you sell shares, and this is where it gets more complicated. If you've invested in a fund over a period of time, you'll have a different cost basis and a different holding period for each share you own. The Internal Revenue Service lets you choose one of four different accounting methods to calculate your gain. You might want to calculate them all in sort of a trial run to determine which is the most advantageous for you. A word of warning, however—you must stick with that method on that mutual fund going forward when you use a particular accounting method to file your tax return. You're locked in, at last for that fund. You can choose different accounting methods for each mutual fund you own. The specific identification method of accounting is the preferred method for savvy investors, but it requires ongoing attention to detail. You'll need to keep track of each lot of shares you buy and sell, and your broker must allow you to sell specific shares. This option is usually provided within a mutual fund company's cost basis tracking service. Specific identification lets you choose which shares to sell for the greatest possible tax benefit. An investor might want to sell the most profitable shares to offset other losses, or he might want to sell the least profitable shares to minimize the capital gains tax. Even if you can't specify particular shares to sell, you can still use the actual cost basis method. You would keep track of your cost basis for every lot of shares you buy and assume that the first shares sold are the first shares you bought. 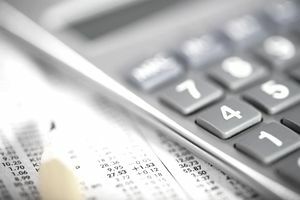 You can calculate your average cost basis according to the price you paid for each share using this method, including any reinvested dividends and reinvested capital gains. The average cost basis is the total purchase price of all shares divided by the number of shares you owned at the time. When you sell some shares, it's assumed that they're sold on a first-in, first-out basis. Your capital gain is calculated using the holding period of the oldest shares being sold, even if you're selling a mixture of long-term and short-term shares. You would calculate your average cost basis on the price paid for each lot of shares you bought with this method, including any reinvested dividends and reinvested capital gains. But you have to separate your shares into long-term and short-term investments, then calculate the average cost basis for each category of shares. The average cost basis is the total purchase price of all shares in the same category divided by the number of shares owned in that category. When you sell some shares, it's assumed that the shares are sold on a first-in, first-out basis. Many investors re-invest dividends and capital gains distributions received from their mutual funds. Each reinvestment counts as both a cash distribution and an additional fund purchase. The dividends and capital gains distributions are included in taxable income. The additional shares purchased in the reinvestment have their own cost basis, which is the purchase price of the shares, and their own holding period. Tracking your cost basis can be a time-consuming task. It might help to use Quicken or Microsoft Money to keep track of your capital gains.